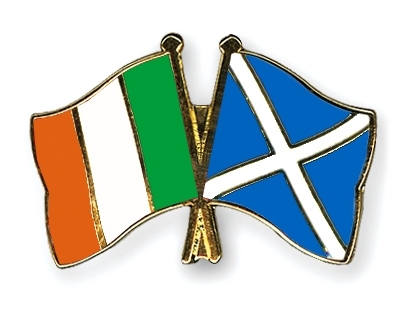 On Friday the 14th November, the Republic of Ireland meet Scotland in what will be the teams first competitive game since 1987. Scotland come into the game with a renewed confidence built up by current manager Gordon Strachan. Qualifying for the 2012 World Cup was yet another disappointing campaign for the Scots, who have not qualified for a major tournament since 1998. 11 points from 10 games represents a very poor showing, but there were signs of positivity beginning to show. Scotland’s group was very difficult, with Croatia, Serbia and everyone’s world cup underdogs, Belgium, battling it out for top spot. Strachan took over from the sacked Craig Levein half way through the campaign. At this stage Scotland were embarrassingly one of the very first sides to mathematically have no hope of qualification. After a shaky start, a 2-1 defeat at home to Wales, Strachan began to see an upturn in results, notably an impressive home and away win against Croatia. Fridays match against Ireland has almost become a must win for Scotland. Dropping valuable points in Poland and Germany, and with the Poles and Irish getting results against favourites Germany, has made this a huge match. Scotland are coming into this match in decent form, and this in turn has created a sense of belief among the Scots that has been missing for many years. Since Strachan has taken over, Scotland have only been defeated by Belgium, Germany and Serbia in competitive games. Even in the defeat on German soil, Scotland gave the world cup champions an almighty scare and will have been disappointed to leave with nothing. Steven Fletcher has found decent form for Sunderland and is a constant menace for most defenses. He was one of the only Sunderland players to avoid a back lash following their pitiful 8-0 defeat to Sunderland. Steven Naismith is enjoying a good season with Everton. The under rated striker has scored 5 goals in 11 outings, though his record for the Scots is quite poor, with an average of a goal every 8 games. Also in reserve they have Derby’s Chris Martin who has proven himself to be one of the best prospects in the Championship. Iketchi Anya’s pace was used to great effect against Germany and is something that the Irish defense will have to be very mindful of. Although some Irish supporters are looking at the match being in Celtic Park as an advantage for Ireland, this is certainly not the case. The SFA have been quite rigid on giving the FAI just 5% of the match tickets. An FAI spokesman stated, ‘The Association regrets that the SFA has not increased this allocation to date. It is particularly disappointing that the Scottish FA is continuing to sell tickets on its website after they had told us that the match was sold out.’ Scotland, very much like Ireland, are known for creating a great atmosphere at home games and this will no doubt be the case on Friday night. Scotlands squad contains ten Premier League players and not one player in the Champions League. Similar problem to Ireland but when the two squads are compared there is certainly more strength in the Irish set up. In the build up to Fridays game much of the talk has been about the reception that Scottish born Aidan McGeady and James McCarthy will receive. Gordon Strachan has already given his opinion on the reception the two players can expect and yesterday Gordon McQueen came out with ridiculous comments on the issue. This is very much a side issue yet the Scottish camp seem to be focusing too much on it. Time will tell what impact that may have.